The ongoing feud between rappers Cardi B and Nicki Minaj hit a new height this weekend. 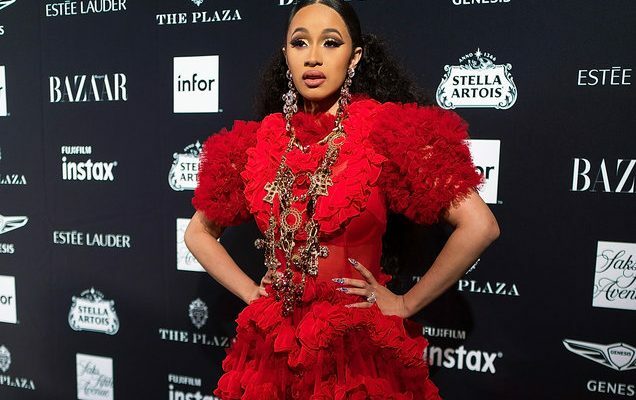 Footage uploaded to Twitter on Friday night (September 7th) from Harper’s Bazaar’s New York Fashion Week event appears to show Cardi B getting into a physical altercation with another person. While that ‘other person’ was not Nicki, it was Cardi’s Love & Hip-Hop co-star Rah Ali, a friend of Minaj’s. The altercation culminated in an entourage-against-entourage fight that ended with Cardi lunging and launching a red shoe. Following the airborne sole, Ms. B was escorted out of the party with a lump on her head, according to People. Minaj stayed inside. Not long after the post, Minaj put up a picture of herself inside the event that Cardi had been ejected from.